The coming decades are expected to bring higher average temperatures, more extreme weather events – and possibly more cold snaps. But how are passive house buildings geared to adapt to a changing climate? Passive buildings are meticulously designed to be warm and comfortable based on their local climate. But our climate is changing — so how will passive buildings in the UK and Ireland perform as the world gets warmer? This is, of course, a complex question — a proper answer requires meticulous research and complex modelling by experts in climatology and building physics. But some architects and energy experts are starting to think about how low energy buildings will perform on these islands as temperatures rise and the climate changes. So what does all this mean for buildings, and low energy buildings specifically? Architect John Morehead, whose firm Wain Morehead Architects provides ultra-local climate data for building project, modelled the annual heat demand of a passive house his firm designed in Carrigaline, Co Cork, under a warming climate up to 2100, and found it would fall from 12.1 to 9.3 kWh/m2/yr. "That is based on one particular dwelling," he stresses. "Every building will respond differently." And as temperatures rise, it could also provide an opportunity to heat our buildings in greener ways. Lundberg says that lower space heating demand should make it feasible to provide much of a passive building's heating need from solar collectors. But he says this presents challenges too: designing a solar system based on a building's heat load could result in an oversized array, which means building designers will need to think about how to store or use excess heat in summer. Climate change should certainly make it possible to downsize heating systems, though. 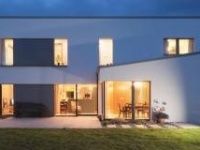 Andrew Lundberg's research found that Irish passive buildings should cope okay with overheating through extra shading and passive ventilation. But he thinks that even now, overheating is an unrecognised issue for passive buildings in Ireland. "Overheating is an issue in some passive houses in Ireland and I think it's going to raise its head soon," he says. "Certainly of the passive houses that have been built, some are suffering from overheating. It's something that the industry needs to focus on." 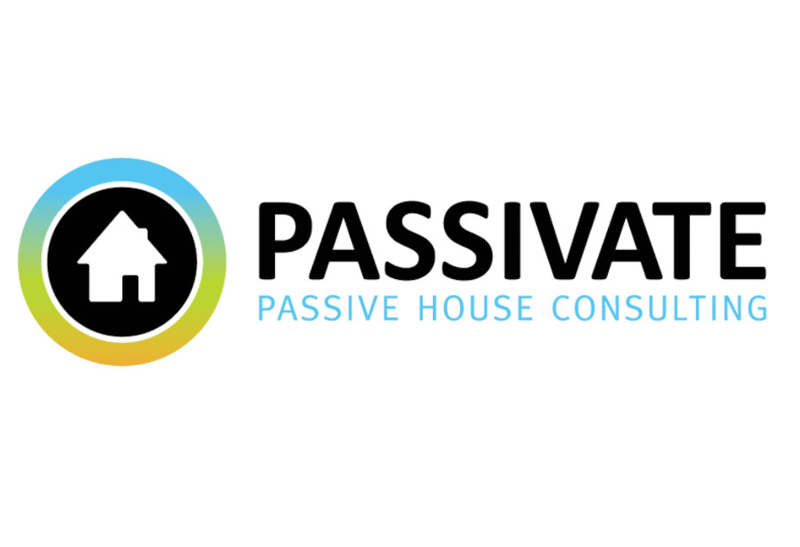 Overheating is deemed to occur if the temperature inside goes above 25C more than 10% of the time, according to the Passive House Planning Package, the software used to design passive houses. "In reality that threshold may be too high for many people who aren’t used to those conditions in their homes," Lundberg says. He adds that the summer bypass function on heat recovery ventilation systems, which brings in fresh air without boosting its temperature, often can't exchange enough air to keep indoor temperatures cool in summer (though many people will address this by simply opening windows). "In any well designed passive building, controlling overheating is readily achievable through simple measures, however it cannot be ignored at the design stage," he says — essentially the building designer must have a strategy to deal with overheating that will suit occupants now and in the future, whether it's through shading, ventilation or both. 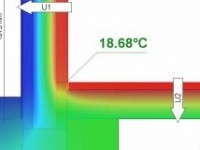 Too much glazing is the big cause of overheating in passive buildings, he says. 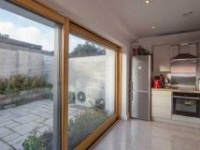 "Designers can make the mistake of over-glazing the south façade as a means of achieving target annual heat demand figures, without realising the detrimental effect this may be having on summer comfort levels." This can lead the client to spend more on glazing, shading and ventilation than they're saving in energy costs from the solar gain through the windows. "Less south-facing glazing might be advantageous," Lundberg says. West and east facing glazing can also be a big issue, he adds, because the low angle of the sun from the east and west makes it more difficult to control with external shading. But Lundberg expects overheating to be less of a problem in passive buildings anyway. "A well insulated airtight building will generally take longer to respond to changes [in the outside environment] than a poorly insulated building." How a building responds to changes in outside temperature and solar gain depends not just on U-Values — the rate of heat loss through a material — but on the thermal capacity and density of construction materials. "Two completely different wall constructions with the same U-values can have significantly different decrement delay values," he says. Decrement delay refers to the time it takes for the peak temperature outside to become peak temperature inside. Some materials slow down this type of solar gain more than others. For example masonry construction, or choosing insulation such as woodfibre or cellulose over lighter synthetic materials, can offer longer decrement delay. This isn't generally considered to be of much importance in the UK and Ireland, but that may change as temperatures rise, Lundberg says, and warrants further study. He also points out that U-values only describe "steady state" heat losses, and that we really need to be analysing a building's performance dynamically using data specific to its location. "This is the direction we are heading in, but we aren't there yet." Designing passive buildings in hot climates does require some changes in strategy though, such as building in more thermal mass, using less south-facing glass, and adding external shading devices to control solar gain in summer. But Ireland isn't going to turn into the Sahara just yet, and Lundberg's research has found that during this century, putting blinds on southfacing windows and introducing a proper summer ventilation strategy should be enough to limit overheating in passive buildings without the need for mechanical cooling. And besides, global warming could also lead to periods of colder weather in winter. The UK Met Office says that greater melting of arctic sea in summer could alter atmospheric circulation patterns, creating high pressure over the arctic and low pressure over mid-latitudes, which tend to bring colder, more easterly winds — particularly in winter. But the Met Office stresses that other factors are at play too, and the role of sea ice in producing cold conditions is still under investigation. Clearly projecting how our climate will change is a tough task — but regardless, it appears that airtight, super-insulated buildings are generally better protected from the outdoor environment, regardless of whether it's hot or cold out. And what about rain? Though the projections are uncertain, the UK and Ireland — particularly in autumn and winter, and particularly in their mid and northern regions — are likely to experience more rain. What does this mean for buildings? "I'm a bit concerned that people are preoccupied with thermal issues, but they're taking their eye off the ball with moisture ingress issues," says John Morehead. Rainscreens on external walls are one strategy for protecting buildings in areas of high precipitation. 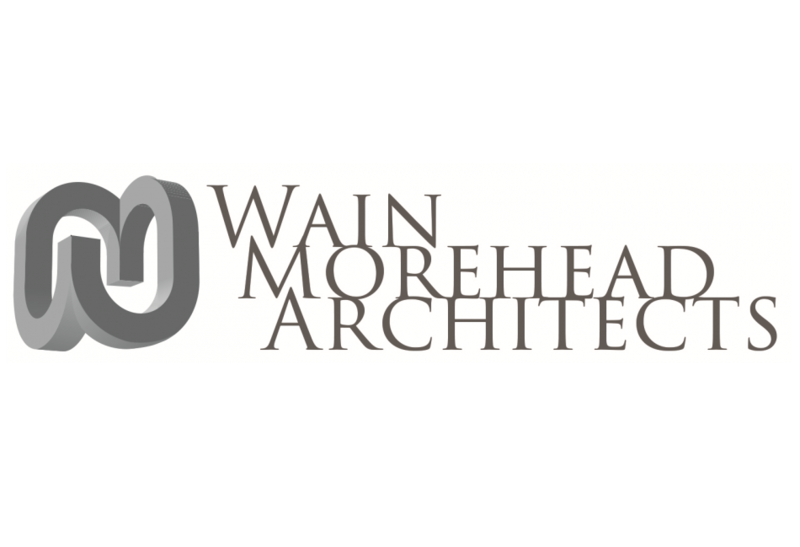 And Morehead typically designs buildings with deep roof overhangs, a simple but potentially crucial feature in a wet climate. "The overhangs are very important to protect buildings, particularly because of heavy rain, and particularly in their vulnerable areas," he says. He says extremely robust detailing is needed for external insulation systems — common on passive buildings and low energy retrofits — in wetter climates. Otherwise wind-driven rain gets into joints, into the building fabric, and can destroy the insulation. He also says that if severe cold snaps were to become more common, it would require building designers to think carefully about choosing very porous building materials in highly insulated buildings — water getting into the fabric would have no opportunity to dry out in cold weather, particularly on shaded sites, and the heavy insulation would prevent the heat inside from warming the external wall. He also says that passive buildings will have an inherent advantage in extreme wind events. 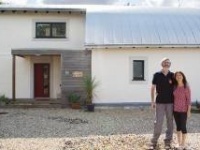 "The airtightness of a passive house will be far more robust in these situations," he says. The risks climate change poses to buildings and infrastructure are likely to outweigh the benefits, according to the UK's climate change risk assessment. While heat demand and cold-related deaths will decrease, energy demand for cooling will go up, the risk of heat-related illness and death will increase, the urban heat island will get worse, water shortages will become more common in summer, and flood risk will shoot up. Perhaps the changing climate could convince more householders to meet more of their needs on-site. Rising temperatures are expected to cause electricity transmission losses, and the increased risk of intense cyclones could mean more electricity outages, so the self-sufficient combination of a passive house with on-site electricity generation could start to appeal. Equally, the prospect of water shortages in summer could strengthen the case for rainwater harvesting and storage. One thing that may need to change is the culture of how we use our homes and offices. Andrew Lundberg reckons there isn't enough of a culture of "building management" in Ireland. We're not used to closing our blinds before we leave for work to prevent overheating, or programming thermostats. Residents must take more responsibility for managing their internal environment, he says. "My feeling is that the Irish spent so long being used to just turning the heat on," he says. The same could also be said for the UK, where building standards and climate are very similar. "That's generally a cultural issue that we need to deal with,” he says. Policy for zero, or zero policy? WMA Ltd. deliver performance driven, comfortable, cost effective and ecologically sound architecture.